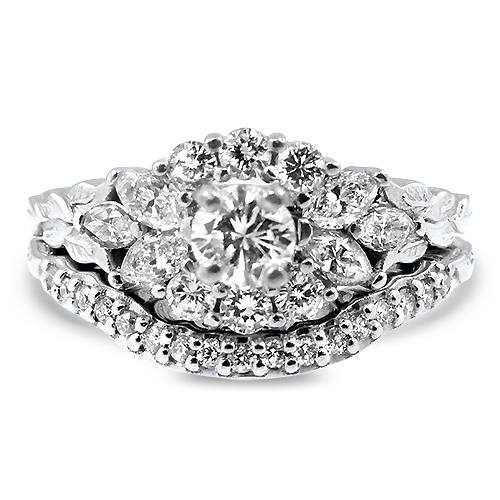 Halo Diamond Ring with round and marquise halo and Matching Band 14K White Gold. 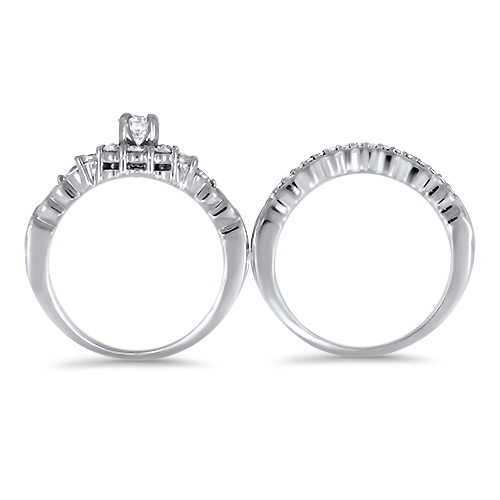 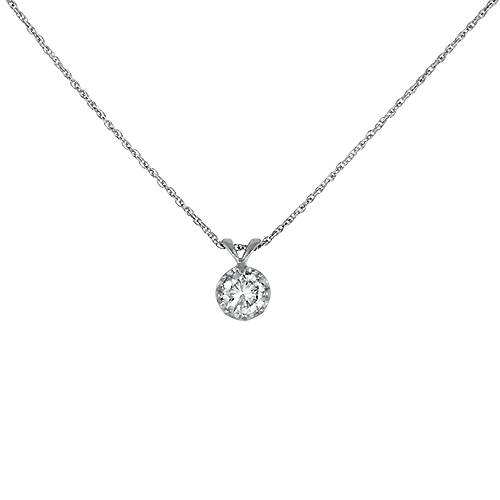 This set features a 0.30ct round brilliant cut prong set with 0.70cttw Diamond Accents. 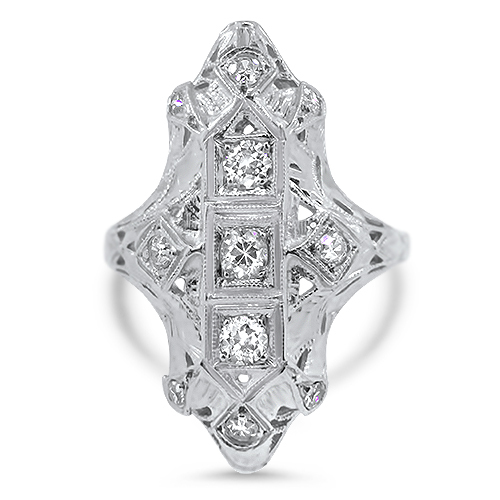 The rings are engraved with floral leaf details on the sides. 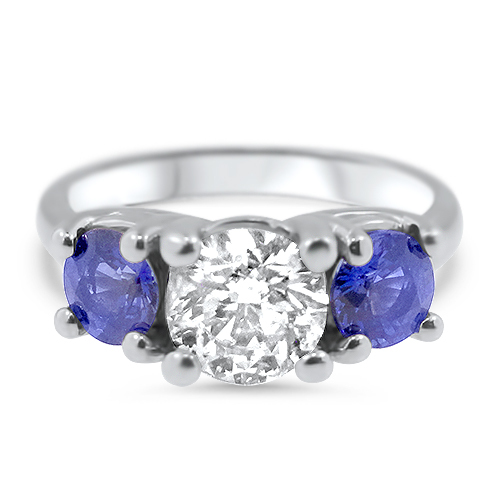 The matching band is made to fit and match the engagement ring.